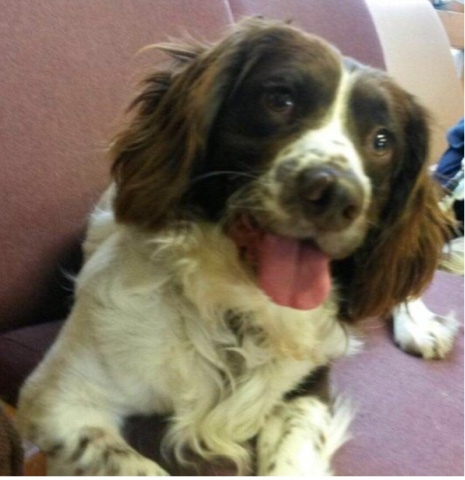 A beaten Springer spaniel who was described as the most petrified dog an inspector had ever seen has been given a second chance at happiness. Bruno was living in a backyard in Gravesend in Kent where he was systematically neglected and beaten by his owner. 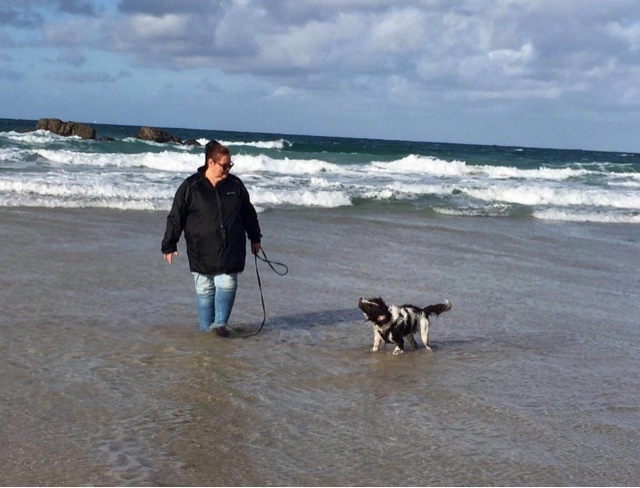 RSPCA Inspector Rosie Russon found Bruno in May last year. 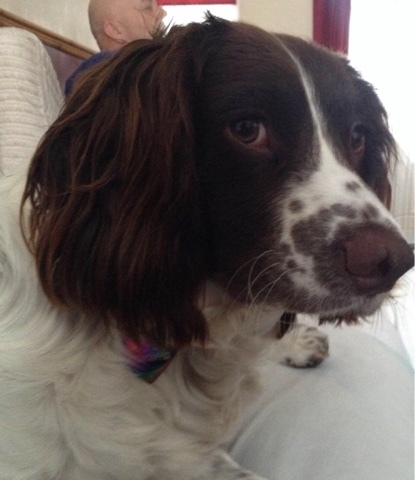 The Springer spaniel was in such a neglected and injured state that she was reduced to tears. He had a broken foot, his nose was split and he also had old injuries which in Inspector Russon’s opinion looked like the spaniel had been beaten throughout his whole life. Bruno was petrified around people and terrified when he heard the slightest noise. Inspector Russon said: “I have seen some heartbreaking sights and distressed animals in my time as an RSPCA inspector, but Bruno stood out as the most petrified dog I have ever seen in my life. “I found him living in a back yard with inadequate shelter and no bedding, with a broken foot, and scars and injuries. Worst of all was his pitiful expression and the fact he was absolutely terrified of every person, every sound and everything. Bruno was extremely nervous and so it took staff at the RSPCA Leybourne Animal Centre a long time to earn his trust. A dedicated team devised a socialisation plan so he gradually realised the new people around him would not harm him. After a few months in the care of staff at Leybourne, the two-year-old had transformed into a confident, fun-loving dog and was happily rehomed. And Bruno is doing just that - with Mark and Faith Cotter in north Kent. The couple adopted Bruno last August and although things weren’t easy at first, Mr Cotter said Bruno has changed their lives for the better. He said: “He’s very calm now which is a total change to when we first had him. We definitely had to earn his trust a little bit but it’s no surprise really. “It’s just disgusting what some people do. When we heard about what happened to Bruno there were no words to describe how we felt. The couple were looking for a rescue dog after their other two pets, Laddie a Yorkshire terrier and Saphie the Labrador sadly passed away. Now Bruno loves walks and playing with his many dog toys, he loves spending time with his friend Max the Cavapoo and cuddles with Faith and Mark. Mrs Cotter said it was love at first sight with Bruno as the pair knew immediately that they wanted to rehome him. She added: “As soon as we saw Bruno’s picture we knew he was the dog for us. He looked so sad, we just wanted to help him, and I’m so pleased we did. “He took to us straight away and made himself completely at home. You wouldn’t know how terrifying his difficult beginnings were now. He has gone from a scared, jumpy dog that couldn't relax even when he was eating, to a confident boy who is not afraid to ask for a treat, run around and play with other dogs.